Craving the sand between your toes, the sun on your skin and that amazing beachy hair you get after you go for a swim in the ocean? So are we! Of course, for most of us the only time we're going to the beach is in our dreams since we're at work all day. But not to worry! We've got a solution to our beachless problems! We here at the Lifestyle Collective are going to get you those windswept, salty and perfectly effortless beach waves without having to go to the beach! Lo and behold the magic of sea salt spray! These babies are the easiest way to get great ocean hair without having to step foot out of your bathroom. Check out our round up of some of the best sea salt hair sprays featured in our Beauty Awards! Our bloggers were raving about them and we know you will be too. 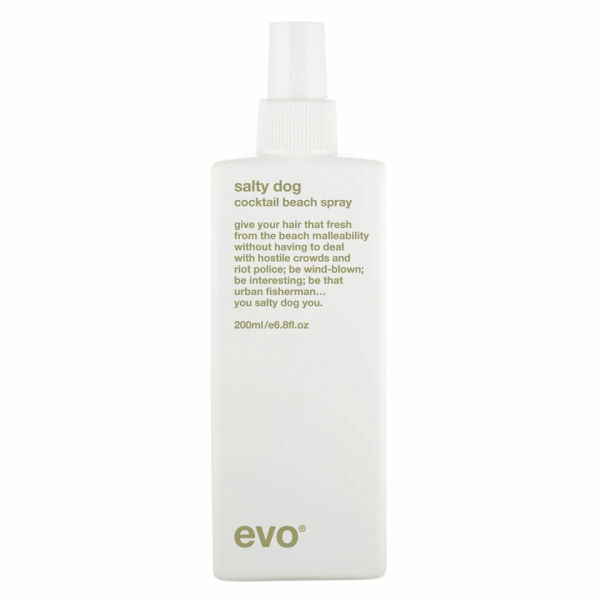 First up on the wish list we've got the Evo Salty Dog Beach Spray. Get the windswept look with a matte finish! Sequins Are A Girl's Best Friend said, "This spray gives a textured volume look and the perfect beach waves. If your roots need a boost, this will work for that too!" Belle in the City raved, I'M IN LOVE! This is by far my favorite product! Talk about beachy waves..this spray gave me effortless waves instantly! It also smells oh so good and has me dreaming of the beach each time I use it! Buy the Evo Salty Dog beach Spray here! Secondly, we added the Living Proof Instant Texture Mist on to our round up list because of its' light weight texturizing spray that lasts for days. A Sparkle Factor agreed with us when she said,"First of all, I LOVE the smell! It's lightweight and delivers texture without crunchiness, stickiness, or any gross residue. Hair is still touchable and soft, which is a major key! It doesn't deliver a TON of texture, but very subtle." The Egg Out West also said it was a, "Moisturizing mist that's great for beach waves." 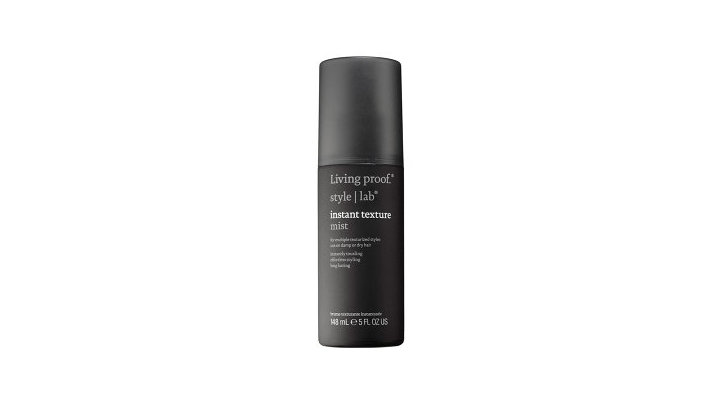 Buy the Living Proof Instant Texture Mist here! Next we made sure to include the Beauty For Real (South) Beach Spray. This spray, used by both men and women, uses meadowfoam seed oil, coconut water and marine extracts to give hair that beachy hair texture along with softness. Sensible Stylista says she "Love, love, LOVE this spray! I like to spritz this product on damp hair to create light waves - you really do get a beachy look from this - a must-try in my book!" Lace and Combat Boots wrote, "This spray gave me good texture that really is reminiscent of what my hair feels like after a day at the beach. Use sparingly as a little goes a long way!" Buy the Beauty For Real (South) Beach Spray here! Lastly (but certainly not the least) we added on the Bamboo Beach Ocean Waves spray. This spray gives the most textured beachy waves without the usual crunch and dryness of most hair sprays. The Middle Closet said she, "Sprayed on wet hair and really helped to enhance the waves in my hair. Didn't leave my hair feeling crunch or with product build-up, and the smell was amazing!" Kelly Zugay echoed her opinions in saying, "Many texture sprays I have tried have left my hair sticky and coarse. This texture spray is easy to apply, smells like summer - a mix of florals and saltwater - and provided the perfect beachy look." 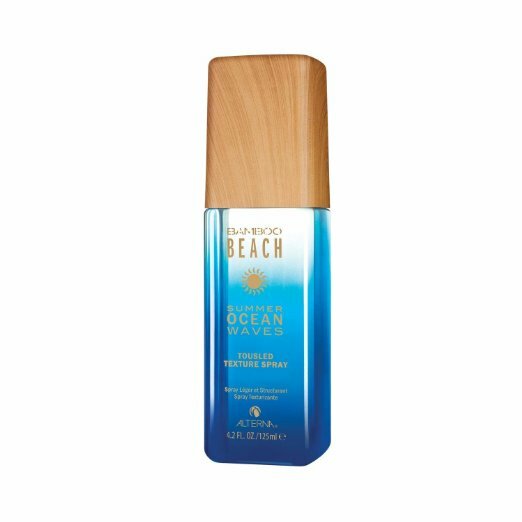 Buy the Bamboo Beach Ocean Waves spray here! After applying this product, scrunch and tousle your hair for maximum volume and waves. Keep your hairstyle intact and shiny all day without any stiffness. You only need a small amount of this 10-in-1 leave-in product for perfectly polished hair. Spray evenly on damp or dry hair for a just-off-the-beach look. This leave-in formula detangles and controls frizz, leaving your hair soft and manageable. Add this product to towel-dried hair for controlled style and anti-frizz. Use this product on damp or dry hair to add texture and create soft beach waves. This spray's formula gives your hair a effortless salty beach-wave texture. Keep your hair frizz-free, even on humid and rainy days, with this lightweight formula. Spray this product on your hair before a blowout to control frizz and add shine. Use a small amount of this product for weightless, long-lasting tousled hair. This nutrient-rich styling cream is made for all hair types, seals split ends and gives you a manageable hold. This formula contains salt and Meadowfoam Seed Oil, so it will texturize and condition your hair. The Keratin and Liquid Silk in this protective oil makes hair super smooth and shiny.